Is it possible that Russian “yetiologists” are closer than ever to finding proof of the Abominable Snowman’s existence? RT’s correspondent Lida Vasilevskaya attended a meeting and saw the evidence with her own very eyes. I was standing in a dark damp cave looking down at the huge trace left by someone on the ground. The footprint was three times larger than my own. We seemed to have found it, the Yeti. Just two days ago, I had been skeptical of anything related to the Yeti. At least it seemed justified to feel that way. “I am away to attend the conference on Yeti,” that is what I had told each one of my friends before I left. Every time we laughed together and it was okay, because if I was serious about it everyone would pity me and advise seek help from a psychiatrist. Ahead of the conference, I tweeted the Yeti asking for an interview. Yes, the Siberian Snowman does have a twitter account. It is full of life stories, depicting him evading scientists or bragging about his abnormal strength. Sure enough, this is someone’s joke, but there is some truth behind it – the Siberian Yeti has become one of the main local brands of the Tashtagol District of Russia’s Kemerovo Region. The town of Tashtagol is dotted with funny monuments to the Abominable Snowman. I even saw a café called “Sushi Yeti”. Genuine yetimania is used to attract tourists. 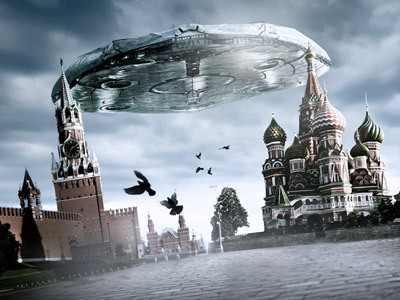 The legends about large human-like creatures populating this region have been circulating for centuries, but the locals were reluctant to speak about their sightings. They believe that the Yeti helps hunters in the taiga and even saves their lives, but once a hunter reveals the story it could spell trouble for him. That is why locals kept silent and only the elderly, who gave up hunting due to their age, have passed down these legends down the generations. One of those legends dates around 1950s. It tells the story of hunters who captured a “snowwoman” and brought her on their sleighs to the town. Unfortunately, it is unclear what happened to her later. All sightings have been unconfirmed until two years ago. Researchers discovered a cave with extremely large footprints. The rumor spread across the country attracting crowds of scholars and the curious. Two years later, the region is hosting a major international meeting featuring the brightest "yetiologists" from Russia, Canada and the US. They have come here to conduct a field study and issue a verdict, whether the Snowman resides here. Yeti enthusiasts insist there are several species of the Yeti, depending on the geography of their location. They believe the Snowman is a species that evolved parallel to Homo sapiens, but has not reached the same level. If the legends are true, Snowmen are kind, curious and non-aggressive. According to the legends, there have been cases when Yeti contacted people. One story tells of a kidnapping of a human in Tajikistan, the man was studied for several hours and then let go. Yeti research is often called pseudoscience, with just a handful regarding it as a serious field. It doesn’t bother the enthusiasts – they believe in what they do and for them the Abominable Snowman is a cold hard fact. When I ask them why they study something which the majority rejects they only sigh. Former world heavyweight boxing champion, Nikolay Valuev, is strong believer in the Yeti. He came to the Tashtagol District to see the footprints with his own very eyes. His goal is to find someone larger than himself. The ex-champion is serious. He has studied dozens of books and is keen to set up another expedition, this time to the remote districts of taiga where the snow giant has not been scared off by humans. The conference is attended not only by scholars and Yeti buffs. US farmer Robin Lynne Pfeifer lives in a house in the Michigan forest and claims that there is a Yeti family living in the neighborhood. Pfeifer says Bigfoots [Bigfeet?] visit her home on the daily basis… to get food. They got so accustomed to the practice, that whenever she forgets to feed them, they start hitting her porch with sticks. 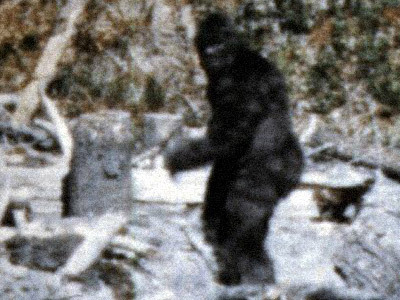 Even though Yetis visit Pfeifer’s house every day, there are no photographs or video footage. However, that is no riddle for Yeti enthusiasts. 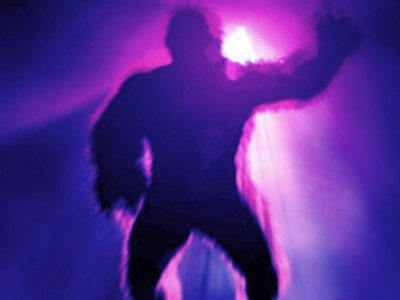 They say the Bigfoot has been elusive because it possesses extrasensory abilities, making it possible for him to evade sightings and generate noise in video equipment. Another important guest at the conference is Ronald Morehead. He has brought along an entire collection of Yeti voices. They sound scary enough. The origin of the voices has not been established yet, but Ronald is sure it belongs to the Snowman. Throughout the conference I have been suspicious, and there was a good reason for it: it is strange when a “scientific” expedition starts with a pagan tradition. Bearded “yetiologists” circle a fire to cast food into it in order to pacify the spirits of fire. The ritual is accompanied by famous shaman Nadezhda. She plays a tambourine, the sounds of which should draw the spirits of the woods, clean our karma and heal our souls. Nadezhda is positive that a Yeti resides in these woods. Sure enough she had not seen it herself, but she had definitely felt it: the Yeti has a very strong “aura”. She believes that Yeti has psychic powers to hypnotize humans. Asked about where the Yeti came from, Nadezhda told me they were one of an ancient people that had resided in the region for centuries. Many legends have been told about them, but no one knows anything for certain because they avoid humans. Getting to the cave where a group of Yetis lives or has lived was not easy. Local woodmen and hunters came to welcome our team and take us to the cave. Valery, a hunter, told me about his run-in with a Yeti several years ago. 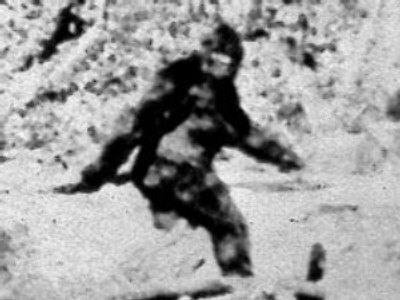 He was walking through the mountains with a friend when they saw a huge furry creature caught in a fisherman’s net. The hunters approached, but only in time to see the back of the creature as it ran away. Locals also tell a story about a group of hunters rescuing a Yeti that was drowning in a river. Supposedly they had tossed a log into the river and the Yeti used it to climb back ashore. The number of Yeti stories that came down from these people’s ancestors is enough to fill a large tome. Igor Burtsev, director of the International Hominology Center, says he believes in the Yeti but he does not believe the cave we are going to visit is its home. Large numbers of tourists coming here to look at the Snowman would have long since scared it away. In that light, all the stories about the Yeti footprints sighted here seemed like tourist bait. As soon as we stepped on the trail, Burtsev stopped by a broken tree. Experts started saying that broken trees are signs Yetis use to mark off their territory and warn humans that entering might be dangerous. Seriously? We were shown plenty of traces and signs that were bound to prove that the Yeti does in fact exist. We found the snowman’s “winter lair”: the Yeti snaps off a thick tree, at about 50 centimeters up from the ground, and piles branches. Half an hour later I saw something that genuinely surprised me: an arch of trees. Their branches interwove in such a way that you could tell it was made by hand – or paw. There are two theories as to the origin of those arches: either the Yeti uses them to mark territory or to adorn the forest. Some voiced their opinions that the tree arches may well have been made by humans. 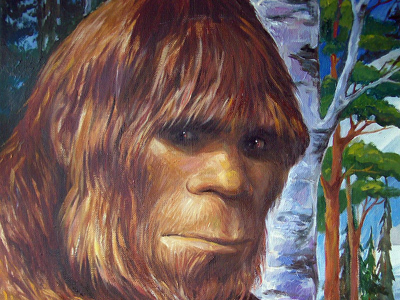 Hunters claimed humans would not do anything so pointless, but why would Yetis? The cave is right by the river. As we approached it, we saw a group of people by the entrance, looking at “Yeti tracks”. There were 10 huge footprints in the dirt and it all seemed a bit suspicious. There was a “resting place” in the cave’s far corner and the experts assumed that was where the Snowman slept. My level of skepticism lowered somewhat after they found some thick, grey hair in one of the footprints. Still, I could not believe it was left by the Yeti. Mind you, some of the scientists shared my sentiment. Anthropology doctor Jeff Meldrum said he found some of our findings suspicious too. He said that scientific work had to be based on solid evidence, whereas here they had found more questions than answers. It also seemed strange that all of the footprints appeared to be of the Yeti’s right foot. The prints also seemed fresh which meant that Yeti comes here often. Of course that would be problematic since it was frequented by tourists. Perhaps we were lucky and had found something? Then again, maybe some of us were only seeing what we wanted to see. Our findings will be studied by experts: the footprints, the hair, photos of the tree arches, and the twisted trees, everything that our experts believe to be signs. But in all honesty, how many people would believe “Yetiologists” if they managed to prove it was really a Yeti? The Yeti, to most, is something like a Santa Claus: you either believe in him or you do not. However, belief in Santa Claus comes with an expiration date. Belief in Yeti seems to go beyond childhood.Now I understand why some people spend years searching for the Snowman. Whether the Yeti exists or not, roaming the forests looking for footprints and recording local legends is a lot of fun! Do giant footprints belong to Siberian yeti?